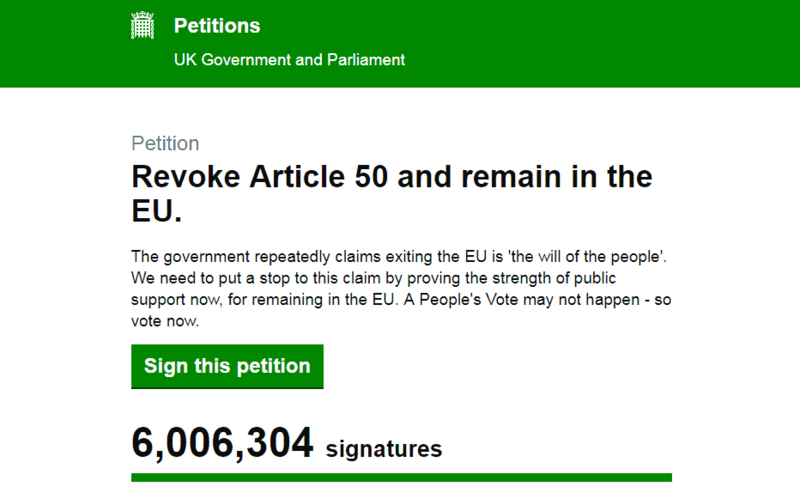 A record-breaking petition calling on the government to revoke Article 50 has passed six million signatures. The milestone was hit a day and a half after Britain was originally meant to have left EU, with the country’s political future still uncertain. It is the most popular petition to have been submitted to the parliament website. The previous highest total of 4,150,260 was for a 2016 petition calling for a second referendum should the initial poll not provide a definitive enough result. The woman behind the petition, Margaret Georgiadou, said she had received death threats. It is obvious to anybody with any common sense at all that the 2016 referendum was corrupted with totaly false and fabricated information and should not moraly or legaly be regarded as legitimate.